How can I join my school's Campus Marketplace? 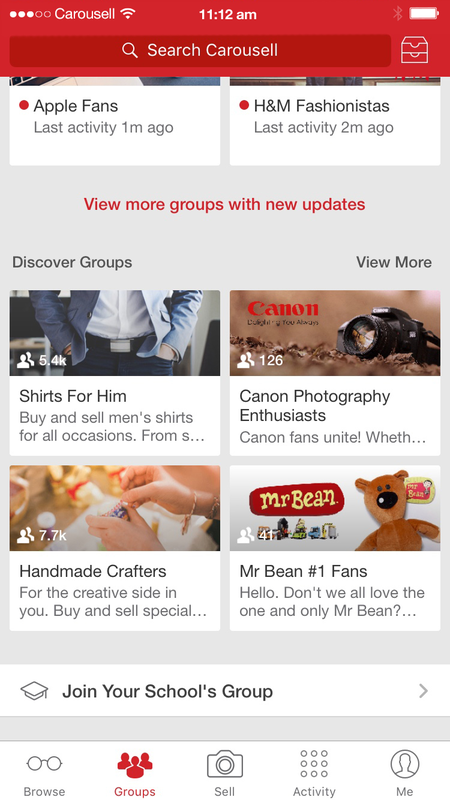 Tap on the "Groups" tab on your app. 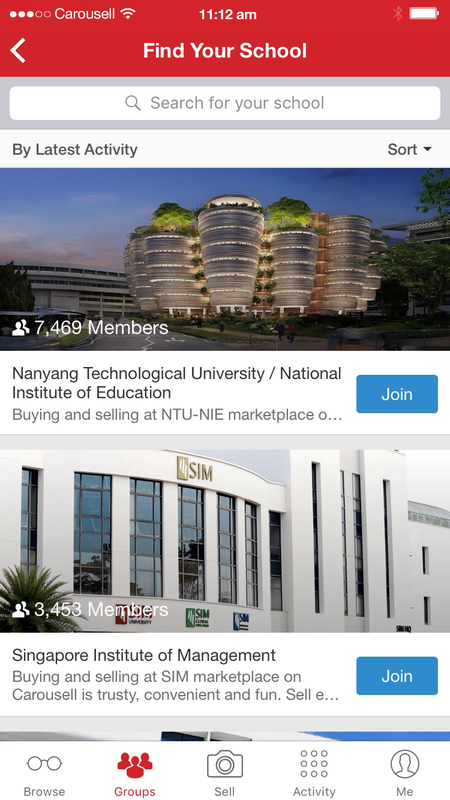 Scroll to the bottom of the page and tap on "Join Your School's Group"
Next, select your school from the list. You may also search for your school using the search bar at the top of the page. **Campus Marketplaces are currently available for Singapore, Malaysia, Indonesia, Taiwan, Hong Kong, Australia, Canada and USA, so only schools from these countries will appear. If you don't see your school on the list, click here to find out what you can do to be included. 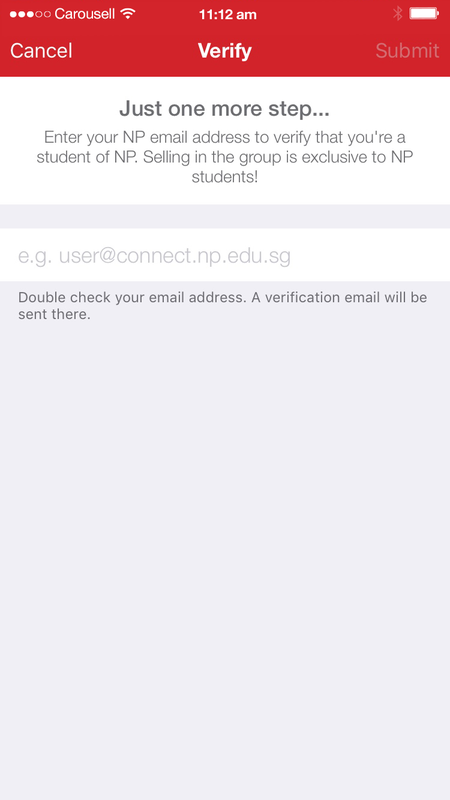 Enter your school email address to gain access to your Campus Marketplace. This should be the email address that is assigned to you by your educational institution. Double check to make sure that the address is correct before hitting submit as a verification email will be sent there. 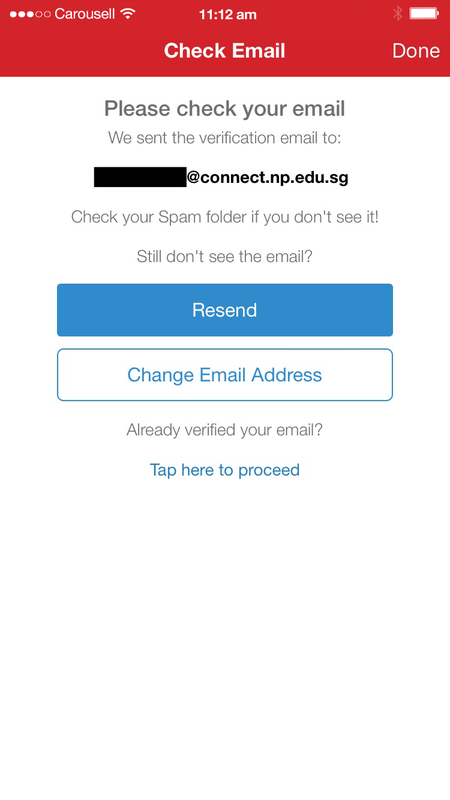 You should receive the verification email in your email inbox after a minute or so. Check your Spam Folder as well to make sure it didn't accidentally end up there. If you still don't receive the email after 3 minutes, hit "Resend" or "Change Email Address" to try again. Drop us a note for help if you are having trouble with this step! Click the link in the verification email to confirm your identity as a student. Once this is done, your Carousell account will be made a member of your Campus Marketplace. 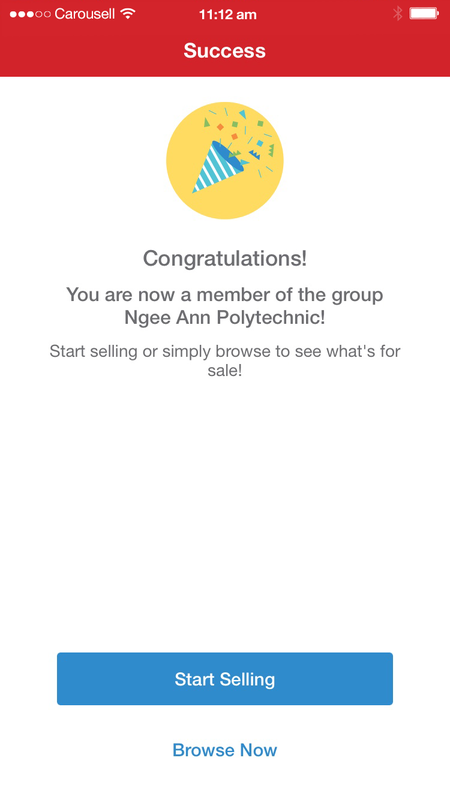 You can immediately invite your college buddies to join you on the marketplace, or just browse the items for sale in your school and start shopping! After joining a Campus Marketplace, you'll also notice an additional category tile on the main page of the app. Tapping this tile takes you straight to your Campus Marketplace where you can browse and shop the items on sale. You can add listings that you've put up for sale previously to your Campus Marketplace or upload new listings directly to your Campus Marketplace.